Two of the songs from that four-track demo, ‘Fighter Pilot’ and ‘Chrome Injury’, survived to make it onto this, the first album. The other two songs, ‘Fall Away’ and ‘Insect World’, sit in an archive, waiting for their long overdue release as part of some future anthology. 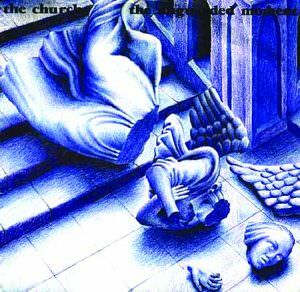 The lyrical juxtaposition of down to earth realism and sci-fi fantasy, apparent in ‘Fighter Pilot’ and ‘Chrome Injury’ became a constant element and a defining ingredient of the church. However, the band was born with a split personality, sometimes trading powerful imagery over stunning guitar tones, thundering riffs, and driving beats. At other times, the songs had languid rhythms with soft beautiful melodies distinguished by the sonorous deadpan of SK’s vocal delivery. With ATV’s interest confirmed, we were now able to entertain the exhilarating prospect that people were going to be able to listen to our records, our music, our band. And listen they would…for another 30+ years. The band wasn’t signed purely on the strength of its commercial viability but on the appeal of the music in its own right. There was definitely something going on. Chris Gilbey and Don Bruner recognized it. 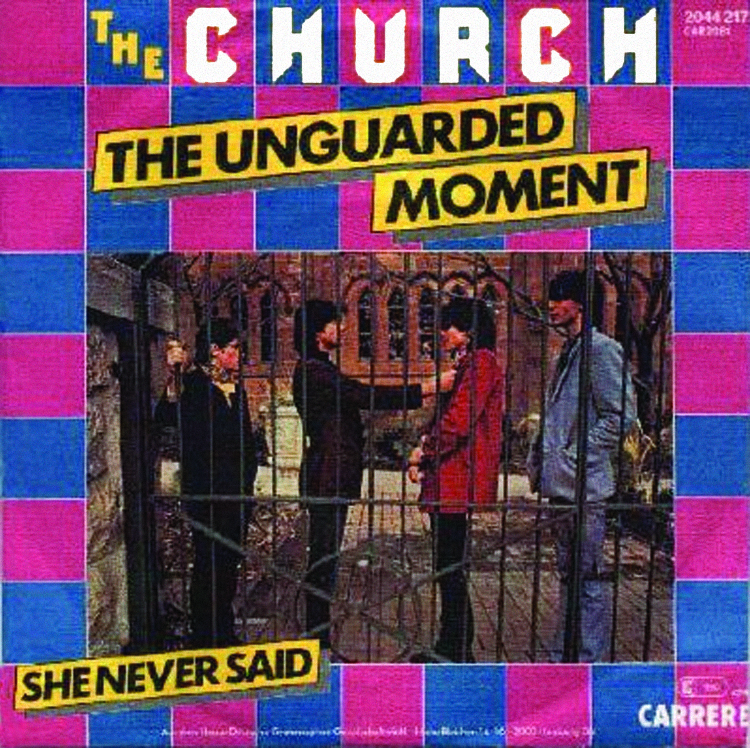 They were yet to hear what would become the first single, ‘She Never Said’ and perennial favourite ‘The Unguarded Moment’. Of course, they hoped that what they heard would lead to record sales. As a live band we were at least different to other things around. Not quite so new wave. We weren’t a bad looking band either. Image-wise Chris seemed to want us to look like The Cars but we weren’t having it. Initially we had more militaristic shirts, a hangover from The Clash and John Foxx, although evidently not in the early photo sessions. But we soon grew into our own image, touring around the country searching out second hand shirts in charity stores. I suppose that’s where we discovered paisley. 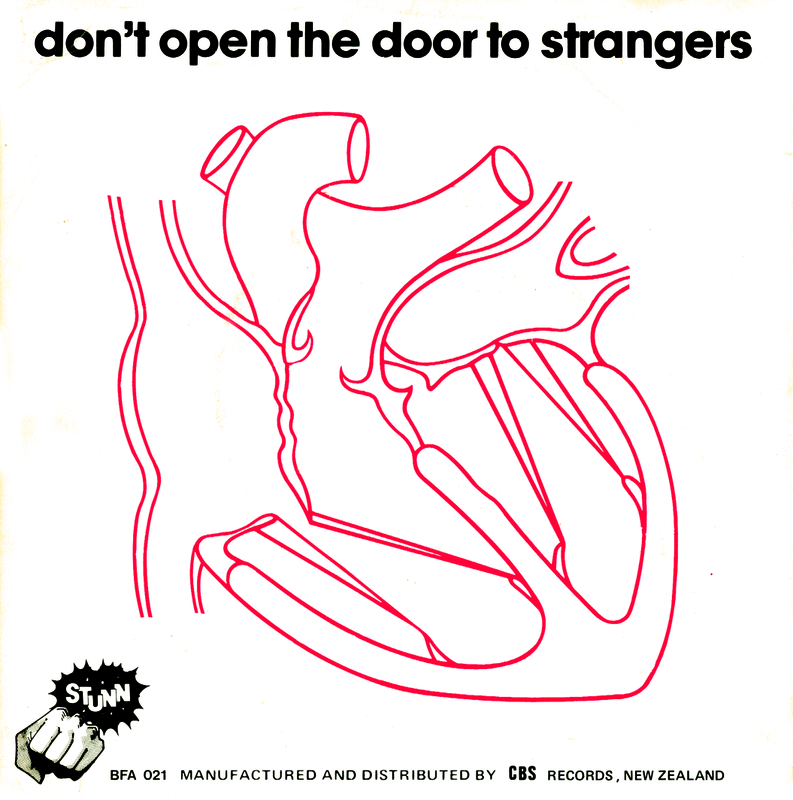 Some weeks later, in the Southern hemisphere’s spring of 1980, the initial recording session commenced with Chris Gilbey producing at EMI’s Studios 301 in Castlereagh St, Sydney. In-house EMI recording engineer Christo Curtis looked after the technical side. We cut three songs – ‘She Never Said’, ‘For A Moment We’re Strangers’ and ‘In A Heartbeat’. 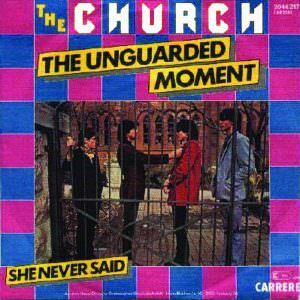 The latter became the B-side of ‘She Never Said’ and is included here as a bonus track. A simple three chord strut, it was the polar opposite of the faux jaunty pop of the A-side. 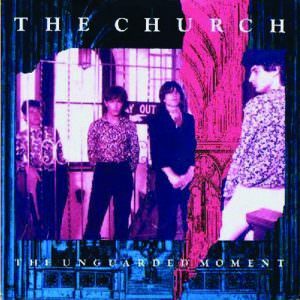 ‘For A Moment We’re Strangers’ became the opening track on the album with its ringing 12 string/6 string mesh and a line in the lyric gave the album its title. After this initial session the band returned to cut the rest of the album with two other EMI in-house engineers, Steve Bywaters and John Bee. We worked with John Bee often in those first few years of being signed to EMI, recording at Studios 301 on various EP’s and albums. The recording sessions themselves are something of a blur, literally! The band, heavily influenced by mind tingling locoweed inspiration, would smoke themselves through the next decade in a plume of magic smoke. It all started here with this ragged yet accomplished debut, not only spawning a hit but also capturing a following of devotees that would never go away. 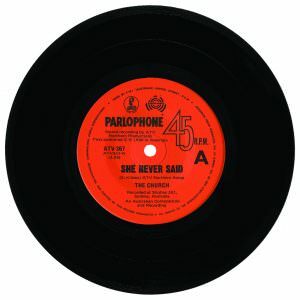 An odd campaign of sending white label copies of ‘She Never Said’ with no band name on the sleeve to Australian radio stations ensued. A buzz on this mysterious record was created and this first single received some hip jock airplay. 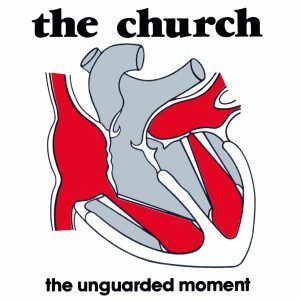 But it wasn’t till the release of the second single, ‘The Unguarded Moment’, that the church’s flame really began to burn brightly. I recall staring through the soundproofed glass window at the bobbing heads of producer and engineer, standing in front of my Vox AC 30 holding onto my Fender Strat for dear life balancing awkward headphones. Beyond the glass lay a complicated array of grey mysterious equipment with unknown knobs and buttons. When the red light goes on and you begin to play you hope it sounds as good on the tape as it does in your head. I remember coming into the control room to hear the take we had just put down and being blown away by the sound. 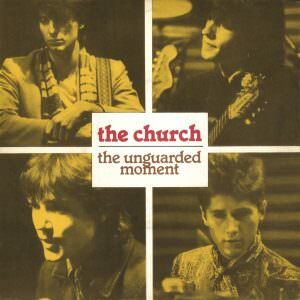 I specifically remember hearing the first playback of ‘The Unguarded Moment’. 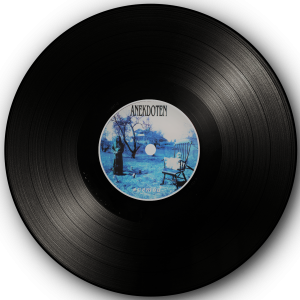 It started with that churning twin guitar intro, a melodic, hypnotic, grinding machine turning some delicious harvest in its perfect pop wheels. It jumped out of the speakers, grabbed you by the throat and said listen to me!! “So deep, deep without a meaning” – the lyrics were some kind of dreamlike paranoiac desertion and somehow crossed over from semi surrealistic fantasy to perky breakfast song on commercial radio. It became an Australian hit reaching number 22 on the national charts, number 19 in New Zealand. The B-side ‘Busdriver’ appears here as a bonus track for the first —-time on CD. 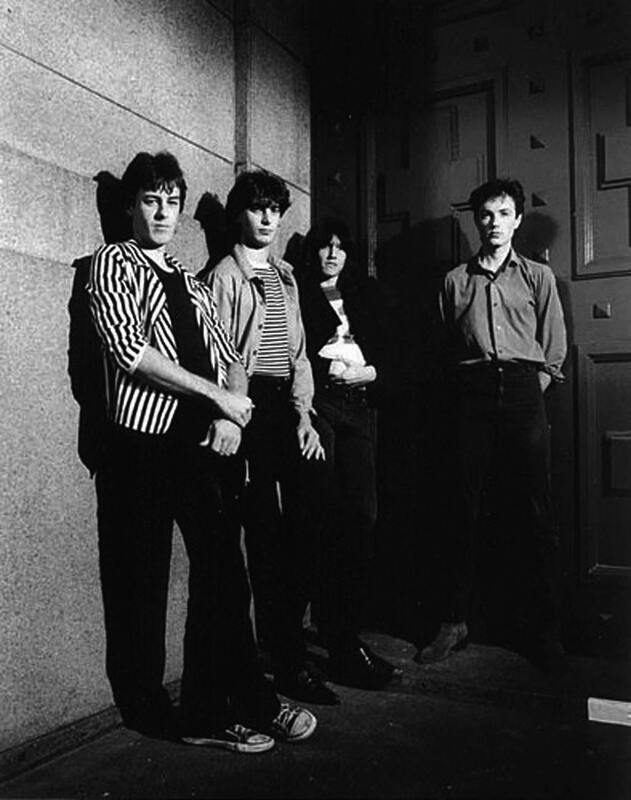 After the recording, the band attempted to make its first video, an expensive disaster that was so bad it was scrapped. It was terrible. For some reason we went along with the director’s idea of having us wear clothes that were not our own. This was an awful mistake. He told us it was just for the colours, as the images would be blurred. They weren’t. We looked ridiculous. Somehow though we got another chance with another director. 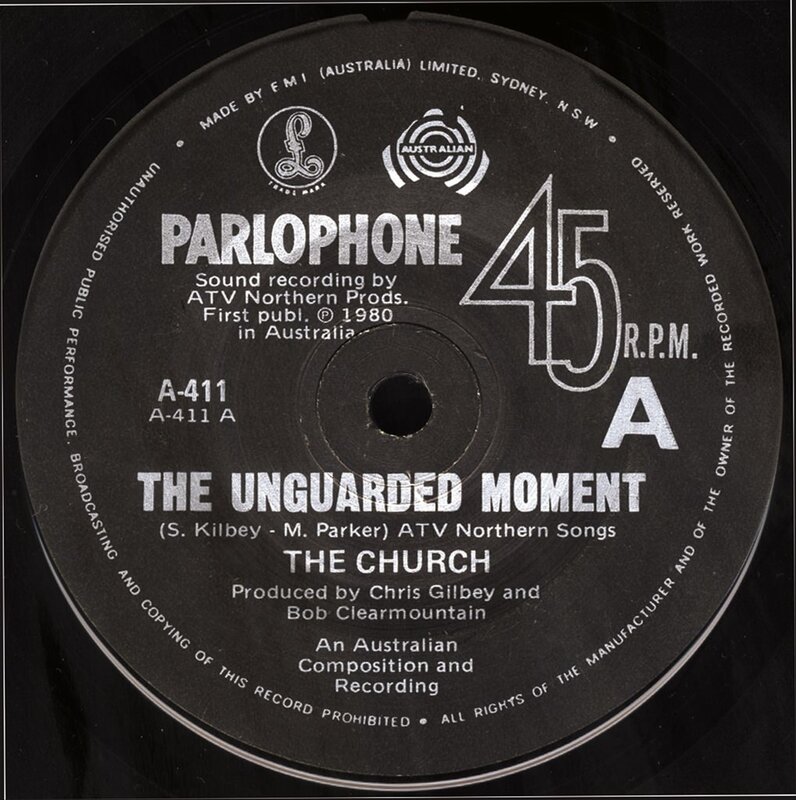 In post-production a fluke error on the video mixing desk created the striking visual stop/start that gave ‘The Unguarded Moment’ clip extra attention as nobody had ever seen this effect before. This accidentally innovative film clip was shown on music programs around the world. Most famously, it was aired on The Old Grey Whistle Test in England, a show I had watched all my life and that had introduced me to much of the music I still hold dear. For some reason there was no film clip for ‘She Never Said’, just the single release. I must add that for me, having collected records since I was nine, holding that very first single in my hand was making it. Times were different then. It was always only the music that mattered. Although I famously did an interview with Sounds magazine in the UK where I stated, “the drugs are more important than the mic stands” praying in the aftermath that my parents up in Liverpool didn’t read the article. Luckily they didn’t subscribe to Sounds. So the band had gone from a bedroom in Sydney to an international release in a year. And there I was at 22, part of a band with a record out in England, having left London less than a year ago. I had traveled across the world to be part of a fantastic new and somewhat oddly for me, Australian band. I had arrived in Sydney from London on my first ever flight in April 1980 with a 1974 Fender Stratocaster my parents had given me for my 14th birthday, no case, (carried on the plane) and an Eko acoustic 12 string. I met the church very soon after arriving in Sydney, going to see them play a few times in the coming weeks. I had always played acoustic 12 string and fluid arpeggios and frantic rhythms and this turned out to be an auspicious meeting because the band were looking for another guitar player who would complement Peter’s style. After seeing the band live a few times I was asked to join, actually more because of my fake tiger skin jacket, perm and super tight pants than my abilities. Steve seemed to think that if I looked like this I must be able to play. I looked like a refugee from a Def Leppard rehearsal. I had to say yes, there was just something about the sound – a cross between John Foxx’s Ultravox and Be Bop Deluxe, two of my favourite groups, as well as other intriguing elements that were hard to put your finger on. I was invited to contribute some guitar on the early demos. The drummer, Nick Ward wasn’t happy. Basically he thought the three-piece was the deal and didn’t want another member in the band. Still, here I am. Chris Gilbey had suggested that we get a 12 string in for certain songs. A hired Burns solid body electric 12 string arrived in the studio one day and I was the natural candidate to play it. It was big and clumsy and heavy with a really wide long neck and the body was glossy green. I took to it like a duck to water. I used it on ‘For A Moment We’re Strangers’, ‘Bel-Air’ and the album epic, ‘Is This Where You Live’. On this track the band really gelled. If you are wondering what those ghostly voices are, that’s a Roland Vocoder, a synthesizer that has a series of different strange synthetic vocal presets. It was Steve’s and was quite an unusual instrument to own. All these years later I have that instrument in my possession, as well as the original drum machine that Steve used to write all those early songs. I seem to remember that ‘Is This Where You Live’ was recorded in two parts, the slow part and the fast part, edited together later on. Dynamic build-ups, atmospheric soundscapes and arpeggio 12 string guitars became trademarks of the band’s sound. Steve’s surrealistic lyrics and Peter’s amazing reverse guitar solo were the icing on the cake. Intertwining phosphorescent guitars created such a deep sonic landscape that you’d swear there was a guitar motif in there that nobody played. That was “Gusto” our imaginary friend and he never left us. There were never four more disparate characters. First there was the brooding artistic temperament of SK singer, songwriter and (fretless) bass player. The drum stool was occupied for just this one album by ex bikie Nick Ward. Then there was PK, the consummate musician and MWP the wide-eyed Englishman, just off the plane who barely knew what had hit him. It was a band not of friends conquering the world but different personalities casting their own personal shadows and light, a four-headed monster constantly fighting, pushing and pulling. But their fate was predestined, each role predetermined, each contribution crucially relevant to the whole. Steve wrote nearly all the material on the album in demo form on his Teac 4 Track except for the dark ballad ‘Don’t Open The Door To Strangers’ which he wrote with me. PK still swears to this day that he wrote some of the words for ‘Chrome Injury’, as well as the middle 8 of ‘The Unguarded Moment’. Lost in the past, what matters now is not who did it but that it was done. Then there was the album cover. 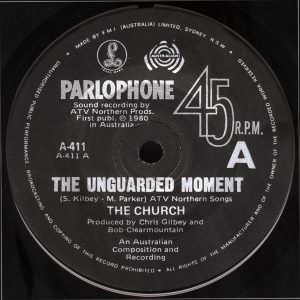 It was hastily put together by SK and his wife at the time, Michele Parker (she also co-wrote ‘The Unguarded Moment’). 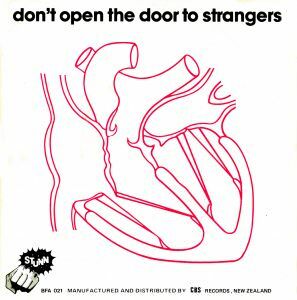 The sleeve never seemed to complement what was inside and the highlighted parts of the heart diagram seemed to have no anatomical relevance. But the left side/right side was a nice idea. 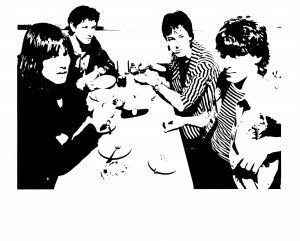 A friend of Chris Gilbey’s called Gary Ede took the inner sleeve photo. It was a shot taken in a café somewhere in the centre of Sydney (see above). There were other shots taken that day that appeared as promo pics (one of those pics included here) and one for a poster. But it’s funny how an impromptu shot taken on a break was the one that made it to the inner sleeve. 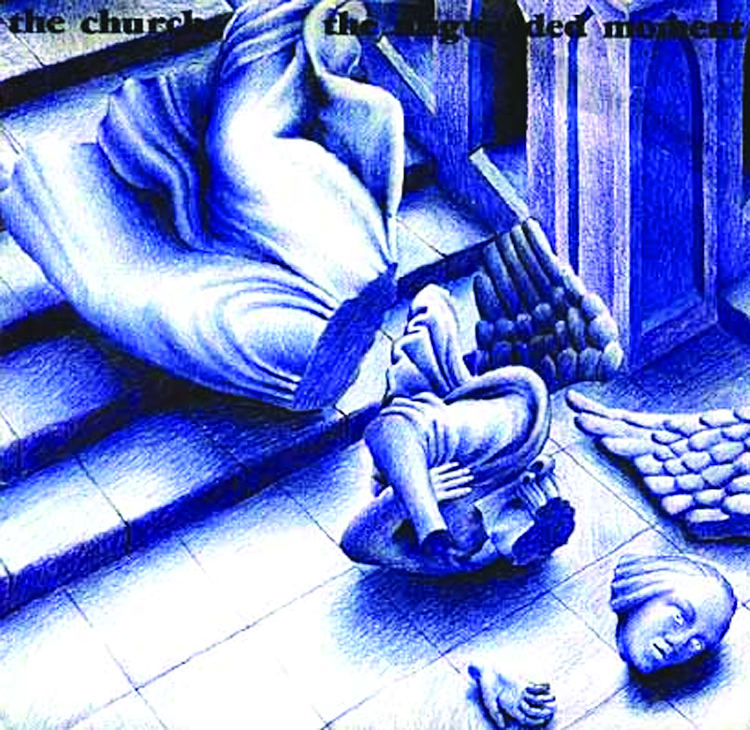 Lyrics appeared on the first four church albums and all the EP’s. However, as the CD took over from vinyl, lyrics became impossible to read without the aid of a magnifying glass. From Starfish on, the lyrics no longer appeared. An artist called Paul Pattie drew the EP cover that we used for the overseas release of the album. He might have been slightly peeved to have not been credited on the US album cover but even more unfairly, Nick Ward received no mention for his contribution on the American or the European album even though he played on most of the tracks. The world just presumed it was all Richard Ploog who had joined the band after this first album and played on the aforementioned EP. Capitol and Carrere didn’t seem to consider these details important. It was hard to grasp the thought processes of these companies. We later came to the conclusion that there was none! I remember sitting in a car late at night on the way back from a show somewhere in the wilds of Victoria. We would often turn on the radio to see if we could hear the band. There’s just something about hearing your song on the radio. We searched through the AM dial. 3XY was the name of the station we landed on. They were a big station in those days. The late night DJ was Paul Holmes. He was playing ‘Is This Where You Live’, the longest track on the record. When it finished there was a second or two of silence and then ‘She Never Said’ came on. Two in a row, but then we couldn’t believe it when ‘Fighter Pilot… Korean War’ also came on…and yes ‘Don’t Open The Door To Strangers’. He had played the whole of Side Two on the radio! We had arrived.